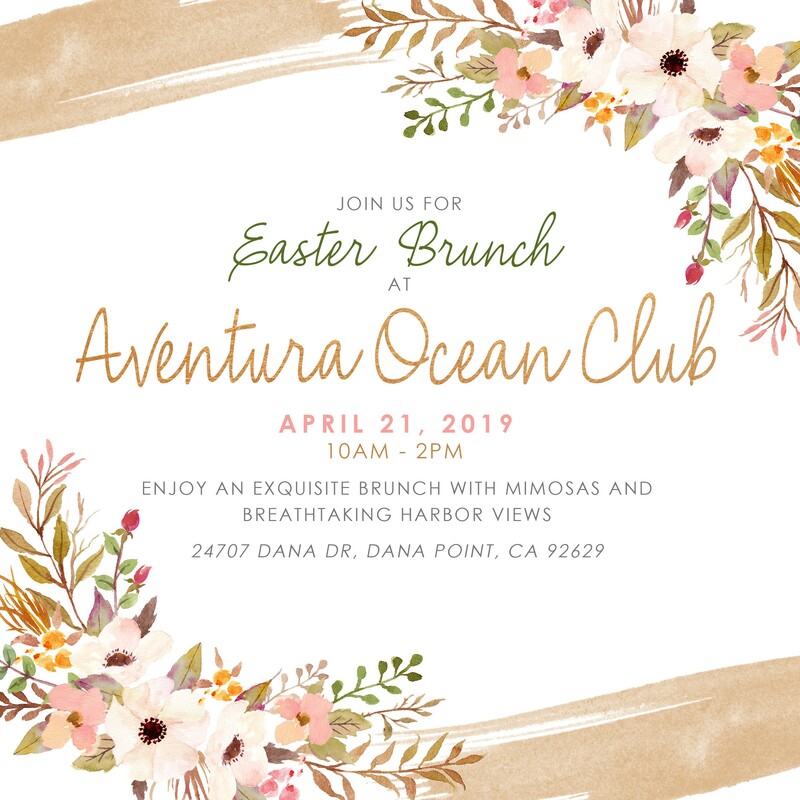 The Aventura Ocean Club will be hosting our Champagne Easter Brunch on Sunday, April 21st, 2019 from 10:00am until 2:00pm in the afternoon. Please arrive and plan to stay at least an hour to two hours enjoying our exquisite brunch spread, mimosas and amazing views of the ocean and Dana Point harbor. Children are welcome and we encourage families to attend. Casual, brunch attire preferred but feel free to get as fancy as you'd like! We can't wait to see you on April twenty-first!